Mascoma Community Development, which is run by Mascoma Bank, has closed on $18.4 million in New Markets Tax Credit allocations that are aimed at two key renovation projects in downtown Concord – restoration of the historic Concord Theatre and rehabilitation of the former Eagle Hotel and two adjacent buildings. Both projects involve Concord developer Steve Duprey. 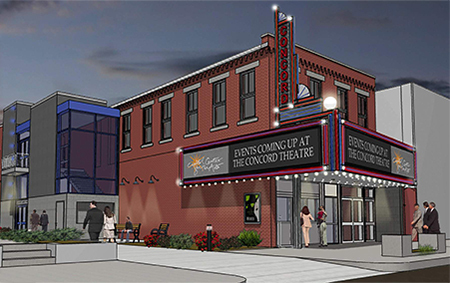 The Concord Theatre project will receive $5.4 million in support to aid renovation of the South Main Street facility. The facility, to be run by the Capitol Center for the Arts, will offer smaller events and shows, special productions, and other events that are too small for its main performance space in the nearby Chubb Theatre. The theater facility is considered a distressed property, and it qualified for the New Markets Tax Credit program because it the rehabilitation will create at least five full-time jobs and will mean the reopening if an historic theatre and an integral asset of the city. 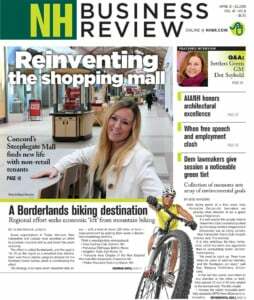 In addition to the $5.4 million in New Markets Tax Credits from Mascoma Community Development, U.S. Bancorp Community Development Corp., a subsidiary of U.S. Bank, served as the project’s tax credit equity investor. The second project, known as Granite Center, involves the former Eagle Hotel building and two neighboring buildings on Dixon Avenue – 4-6 Dixon Ave. and 8-14 Dixon Ave. The project, which involves a total of nearly 100,000 square feet of space, will receive $13 million in New Markets Tax Credit support. Granite Center is being developed by Duprey along with Jon Chorlian, also of Concord. PNC Bank served as the project’s credit investor for the New Markets Tax Credit allocation.